Salsnes Filter’s patented rotating belt filter technology performs primary solids separation for municipal wastewater and industrial process water. It rivals conventional primary treatment – at a fraction of the footprint and lower cost – making it ideal for plant expansions and upgrades as well as new plant construction. 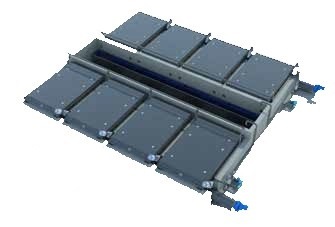 The Salsnes Filter system is compact, automated and has integrated primary sludge thickening and dewatering.